Average cost of a gallon of fuel in your area. I received a note last month from one of our readers that was in the midst of this process. His family puts 30,000 miles per year on a large traditional SUV that averages 16 miles per gallon, overall. With that many miles driven and that level of fuel-efficiency, the cost-justification is clear cut. These folks were looking to downsize into a crossover and were considering something along the lines of a Honda CR-V and didn’t have an overwhelming need for all-wheel-drive (AWD). While the CR-V is a solid choice, it isn’t the highest-MPG small crossover. That honor currently goes to the manual-equipped 2013 Mazda CX-5. If we use $4.00 per gallon as the average price of fuel with 30,000 miles driven, that big old traditional 16-MPG SUV is gobbling up $7,500 per year at the pump. At an average of 29 MPG combined, the Mazda CX-5 would use $4,140 of gasoline, for a savings of $3,360 per year. While that’s quite impressive, things can get ever better. If the family was willing to consider the high-MPG 2013 Ford C-Max Hybrid (rather than a traditional crossover), those savings would go substantially higher. 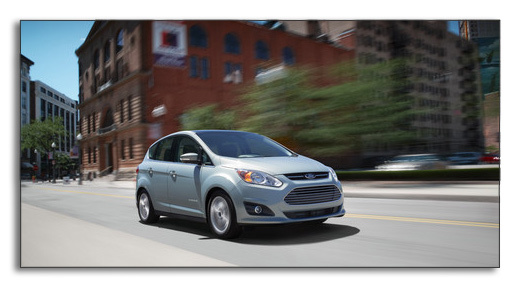 The C-Max Hybrid is rated at 47 MPG combined, with a starting price of $25,200. 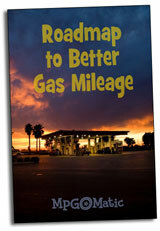 Over 30,000 miles, the C-Max’s gasoline costs would be $2,550 … a savings of $4,950 per year. This would save $412.50 each month. If the old SUV fetched a trade-in value of $3000, the monthly loan amount on the base model, without any options, taxes, or added costs would be approximately $400 per month at 3 percent interest. When folks argue against our nation’s new fuel efficiency standards, which target a CAFE average of 54.5 MPG by 2025, I have to wonder if they’ve taken sufficient time to do the math. High-MPG cars don’t just make sense … they make dollars and sense.